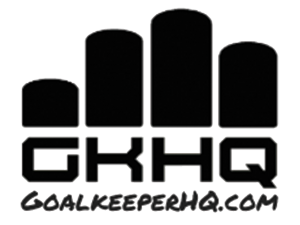 Goalkeeper HQ and GoalkeeperHQ.com is a resource run by Leon Othen & Marty Walker, to teach proven strategies in the art of goalkeeping to lift students beyond their vision of capability. Goalkeeper HQ offers a number of services in order to do this. Who are Leon are Marty? Leon Othen is the Goalkeeping Director, at the Premier level club, Everton America, which is the U.S. affiliate to the Premier League club in the UK. Leon works with all the goalkeepers aged 8 – 18 and feeds the sister Academy team, Everton FC Westchester where he has also coached. Leon is the Men’s Goalkeeping coach at Quinnipiac University, a Divison 1 school in Connecticut. Leon also was the goalkeeping coach for University of New Haven’s women’s team and previously Goalkeeping Director for MLS Camps. Prior to moving to America in 2005, was coaching at Arsenal & Leyton Orient, a third tier professional team in London for whom he played for also. Each week we provide an insightful newsletter for our community. Sign up to get yours here. It’s free. Get started on our blog. Start here. See our current offerings for camps & training on our registration page.